NEW This page contains an overview of the methods for solving systems of equations and inequalities, based on two equations and two unknowns. This page contains several gizmos and activities for visualizing systems of equations and their solutions. This website requires Shockwave Player to run some of its features. This page contains a detailed tutorial on systems of equations. NEW This page has links to each method of solving systems of linear equations,as well as some interactive practice. This page has a computer generated lecture and notes on solving systems of equations. 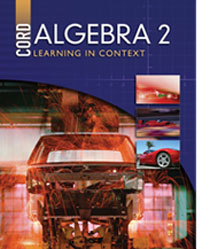 This page contains a tutorial on solving systems of linear equations by graphing. NEW This page describes how to use a graphing calculator to solve systems of equations. Check this - This site is a cliffsnotes example of solving equations using substitution. Check this - This site is a cliffsnotes version of solving equations using elimination. NEW This page contains an applet for graphing linear inequalities. This website requires Java to run some of its features. This page contains a gizmo for graphing linear inequalities. This page contains free printable practice worksheets on linear programming and other topics. This page contains resources for linear programming lessons including power point presentations and practice. This page contains 3D representations of different types of solutions and a tutorial on solving them.